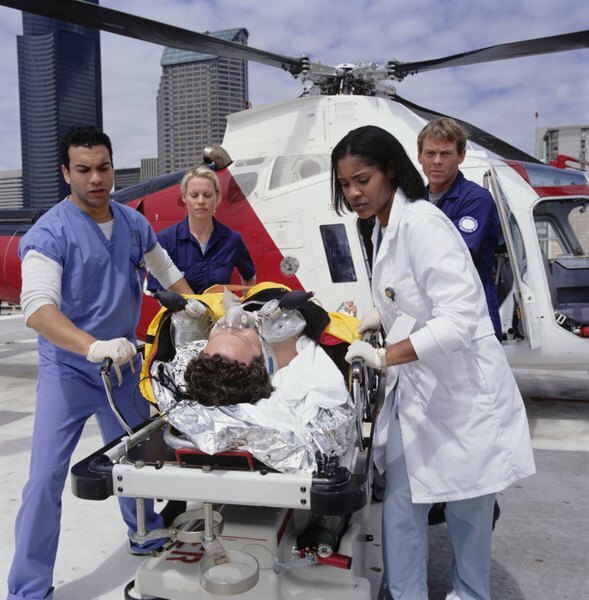 Emergency room physicians must quickly assess and diagnose patients. 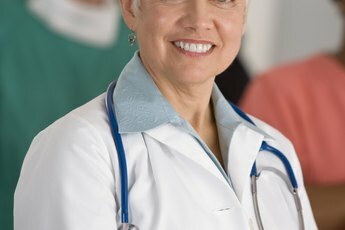 If you want a high-paying job that CNN named one of the best jobs in America, where women earn the same as men and have many of the same opportunities for advancement, an emergency room physician might be the job for you. But before you head to the ER, you'll have to spend a lot of time in school. Emergency room doctors spend four years as an undergraduate, four years in medical school and anywhere from three to seven years as a resident, while they squeeze in time to take and pass the United States Medical Licensing Exam and become board certified in emergency medicine. 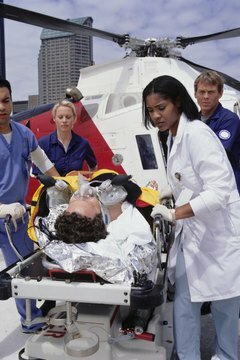 An emergency physician assesses a patient's condition to determine the severity of the problem. Physicians speak with patients to elicit their medical history and learn the details of a patient's ailments. They perform physical examinations to diagnose and treat patients. After stabilizing a patient or attending to the patient's basic needs, emergency room physicians refer patients to a specialist, such as a surgeon, as necessary. They may also admit patients to the hospital and discharge patients whom they've treated. ER doctors perform a wide range of medical procedures. 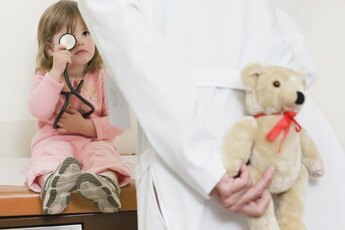 They set and treat broken bones, stitch and care for lacerations, monitor EKGs for patients with heart problems, insert tubes and lines in patients, treat severe infections, perform ultrasounds, diagnose illnesses that threaten a patient's life and prescribe medication for routine medical problems. An emergency room physician must be able to quickly assess a patient's condition with very little information, make a preliminary diagnosis and immediately begin treating a patient. An emergency room doctor often works as part of a team of specialists, nurses, nursing assistants and aides who each perform a defined role when a patient comes to the emergency room. 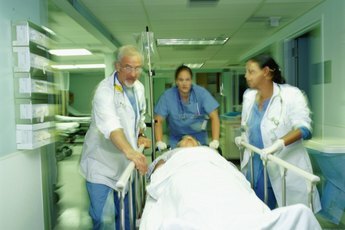 The ER doctor often leads the team and provides instructions and direction to other team members regarding the specific actions to take with a patient. Emergency room physicians keep patients informed about their conditions and treatment. They also speak with a patient's family to update them on a patient's diagnosis and prognosis. An emergency room physician may have to resuscitate a patient using CPR or defibrillator paddles. An ER doctor may even have to pronounce a patient as dead. However, unlike other doctors, an emergency room physician doesn't treat patients on a long-term basis and doesn't get called to work during time off because of a patient with a problem. 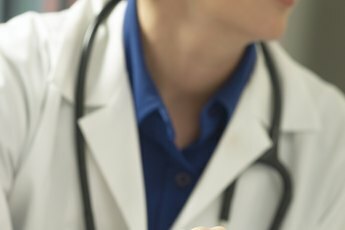 Emergency room doctors refer patients to another doctor for ongoing care once they've completed their diagnosis and administered initial treatment.